Today’s First Kiss Friday featured guest is Jill Hughey, author of romance Unbidden. Welcome Jill! Here’s the first kiss between David and Rochelle. This excerpt is from Jill Hughey’s historical romance, Unbidden, which is book one in the Evolution Series, set in Charlegmagne’s empire. David, who has suffered debiliating headaches since being wounded in a battle, has just been assisted by Rochelle, the woman who unwillingly became betrothed to him a few days ago. They are journeying with a group of people toward her home when of his headaches strikes and, recognizing his distress, Rochelle follows David off the road to give him some herbal remedies, providing the first helpful treatment he has received since his injury eighteen months before. They rest in the shade for awhile, at first with David resting and then talking quietly in their first non-contentious conversation. Eventually, it is time to go. “You would do that?” David asked incredulously. David began to rise, taking longer than necessary to withdraw his hand from beneath her leg. She involuntarily sucked in a breath at the pressure of his fingers sliding along her thigh. Her heart skipped in her chest. God in heaven, what was happening to her? He leaned forward, softly pressing his lips to hers as casually as he’d just touched her. And his kiss felt as natural as breathing, as wonderful as the sun on her face, as exhilarating as riding Denes at a full gallop on a winter morn. His mouth lingered then he withdrew. His calloused hand cradled her cheek and he let his thumb rub across her slightly parted lips. “Temptation!” she cried. Oh Lord, here she was, as simple-minded as her housemaid Ruthie lying in the straw of Alda’s stable. “Oh, no, no, no, this is all wrong,” she wailed. “Oh, what have we done?” She swatted his hand from her face then shoved against his chest, finding it maddeningly unyielding. “I am not going to marry you!” she shouted, her nose inches from his. “I do not lump you anywhere. I cannot even think rationally about you at all,” she cried, then bit her lip, knowing she had revealed too much, knowing he had seen the truth by the way his eyes softened and his hand slid first to her shoulder then to her neck to cradle her jaw. “Stop that,” she protested weakly. 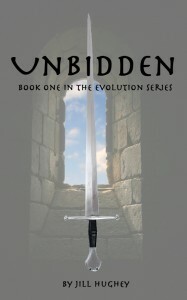 Unbidden is also available in a bundle with book two of the Evolution Series. 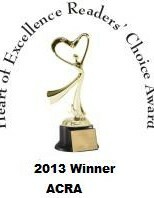 Any readers who want to visit with Jill Hughey more can find her on Facebook, Twitter, or on her blog. Thank you for being such a great hostess, Laurel! Thank you so much for having me, Laurel!